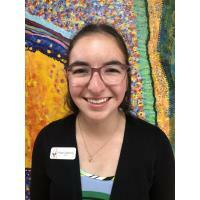 ROCHESTER, MINN.— The Ronald McDonald House of Rochester, Minnesota, is pleased to announce that Paige Organick has joined the staff as Volunteer Associate, effective April 1, 2019. Founded in 1980 as Northland Children's Services, the Ronald McDonald House of Rochester, Minnesota, provides a home away from home and offers support to families seeking medical care for their children. For more information, visit www.rmhmn.org.